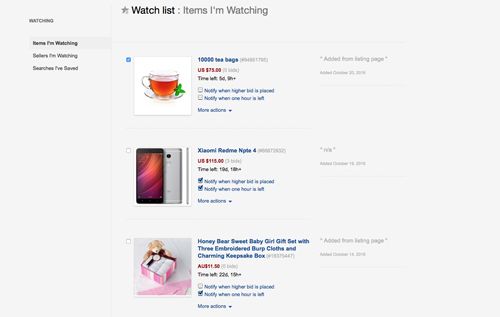 The favorites menu can be accessed from the top header or My Account for buyers to manage all the products and/or sellers saved to watch list. 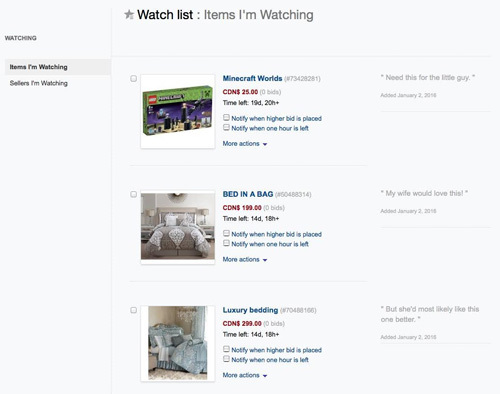 Buyers can save favorites by clicking the add to watch list link from the listing page. Buyers have watching tools to track and be notified when listings are ending within 1 hour and also when a higher bid is placed.